I was in high school when my best friend introduced me to monkey rolls. Her mom made them for breakfast after a sleepover and I honestly had never had them. 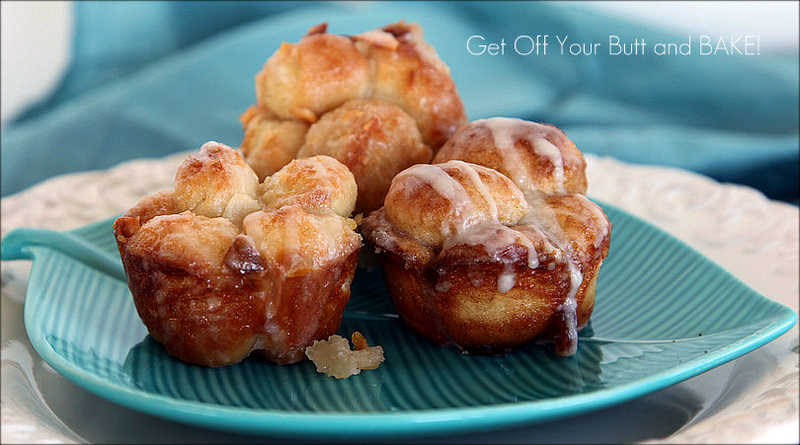 As yummy as a cinnamon roll, but more fun to eat. These would be so fun for our first day of school breakfast! I just need to remember to thaw out the dough ahead of time!! You can get Jonna's mini monkey roll recipe HERE. Kyra...they are really yummy and SO EASY to make!! The recipe that I use most often is just refrigerator rolls, butter, and brown sugar (sooooo low call...bwahahaha!) They are fun for kiddos to make and eat too!